Ffa-la-la was founded by Carys John in 2013. 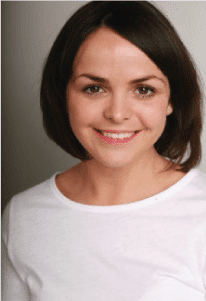 Carys holds a BA from Aberystwyth University and a MA from the Mountview Academy of Theatre Arts. She is a qualified teacher and has worked in schools across South Wales including a spell as acting head of department in Ysgol Plasmawr, Cardiff . She developed Ffa-la-la community classes after recognising the role of music and movement and bi-lingualism in the early years. Since then she has worked with a number of local authorities, schools and nurseries in running music and movement workshops for staff, parents and children. She is also a familiar face on S4C’s pre-school channel “Cyw’ and will be starring in their new comedy series ‘Cacamwnci’ this Spring. Carys recognised the importance of music in the early years and made this the cornerstone of a series of weekly, bilingual community classes. Welsh speaking and non-Welsh speaking parents were encouraged to play a role during the development of their child’s Welsh language skills.